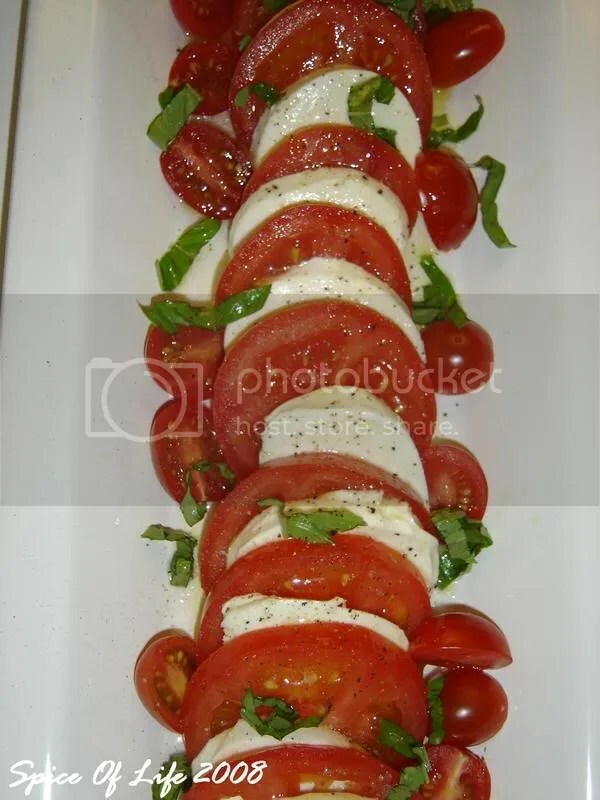 i love caprese salad and yours looks delish! Oh I absolutely agree with you about the English language. Sometimes I instant message my brother (a cheap way to keep in contact) and usually when I ask him what he’s been doing lately he replies “nm”. Thats it – just “nm”. Apparently it means “not much”. So lazy! 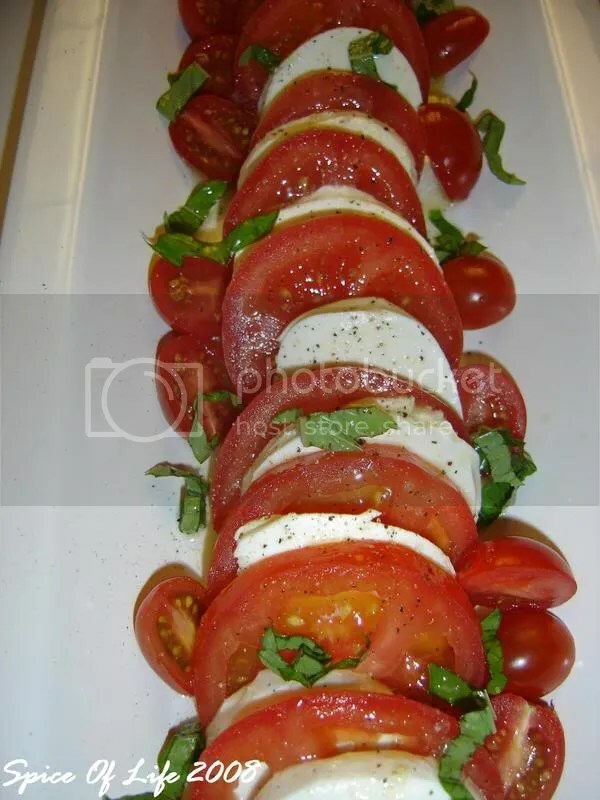 Tomato mozzarella salad is always welcome in my house specially during the summer. Yum! Agree with you about the ugly flipside of technology. I can rant and rave more about the unscrupulous sellers of technology and software but leave it at that. Good thing the caprese salad looks delicious, because I need to calm down. mmmmmmm~ my favorite salad ever! LOVE fresh mozarella! This combo is timeless for a reason – delicious! Tomatoes are the color of summer, aren’t they! This looks delish. That salad looks nice and fresh and good. What great colours. Very pretty! I agree that the combination of tomatoes gives some extra interest.